Tracey Sheriff has served as the Chief Executive Officer for the Autism Society of North Carolina since May 2010. Tracey has more than 20 years of experience working to improve the lives of individuals with autism throughout their lifespans. He began his career working directly with children and adults with autism in residential and vocational settings through the University of North Carolina TEACCH program. Tracey joined the Autism Society of North Carolina in 1996 as a Community Services Coordinator and has since held a variety of positions with ever-increasing responsibilities, including Chief Operating Officer. Tracey received a Master of Science in Administration with a concentration in Health Services from Central Michigan University, and a Bachelor of Science in Psychology from Frostburg State University. He also earned a Certificate in Non-Profit Management from Duke University. Tracey lives in Garner with his wife and two sons. 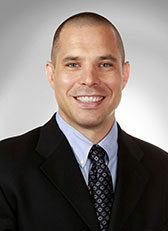 Paul Wendler has been the Chief Financial Officer since 2007. He earned his Bachelor of Science in Business Administration from the State University of New York at Buffalo and subsequently completed all requirements to be a licensed Certified Public Accountant in the State of New York. After working for a number of years in both public and private accounting, including experience with large, as well as smaller privately held corporations, Paul relocated to the Raleigh area. He has since served in leadership roles with two large, nonprofit human services agencies. In his free time, Paul volunteers at his church, his homeowners’ association, and other smaller nonprofits. 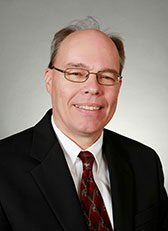 He also participates as a member of the American Institute of CPAs and the North Carolina Association of CPAs. Kerri Erb has had both regional and statewide responsibility for the development and implementation of quality enhancement, national accreditation with the Council on Quality Leadership, and other quality management processes for ASNC. 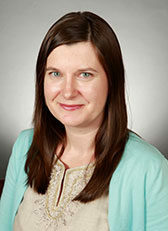 Her educational background through the National Intellectual Disability and Development Consortium, UNC-Wilmington’s Quality Enhancement for Nonprofit Organizations Program, and North Carolina State University’s Master of Public Administration program has provided her with a working knowledge of system design, implementation of best practices, outcomes design and measurement, data-driven management, and trends among Intellectual Disability and Development and autism-specific services. She is a member of the Intellectual Disability and Development Consortium, and provides expertise on direct service delivery, clinical and quality management, and the waiver implementation process. Kristy White started her career working with YMCAs across North Carolina to build youth and family programs and facilities. She joined the National Inclusion Project as President and Chief Operating Officer in May 2005, after serving as the Project’s Director of Programs. Under her leadership, the National Inclusion Project became the leader in the field of inclusion, contributed millions to inclusive programming across the country, and launched the cutting-edge inclusion models, Let’s ALL Play and Together We Make A Difference. Kristy joined the Autism Society of North Carolina in March 2012 because of her passion for improving the lives of individuals with autism and their families. She graduated from UNC-Wilmington, where she earned her bachelor’s degree in Psychology. Kristy resides in Wake Forest with her husband, Andrew, and their children. Tim Ferreira has worked for the Autism Society of North Carolina for more than 15 years in a number of roles, including community and day program direct care work and advocacy, community services supervision and training, and positions that have strengthened and expanded ASNC’s quality management program. As the Director of Quality & Compliance, Tim directs the coordination of quality and compliance concerns across the state. As a family member of individuals with autism, he brings his personal experience along with this variety of professional experience to the table, keeping quality and the positive experiences of those we serve and employ at the forefront. Tim holds a bachelor’s degree in philosophy from North Carolina State University and a Certificate in Nonprofit Management from Duke University and has completed the Advancing Strong Leadership in I/DD program through the National Leadership Consortium on Developmental Disabilities at the University of Delaware. 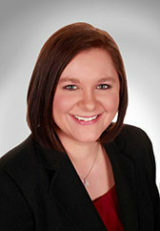 Kate Hall has been the Director of Operations since 2010. Kate has served in multiple roles with the Autism Society of North Carolina since 1999, including her most recent position as Quality Enhancement Manager. Kate’s past experience is in the for-profit sector, where she worked for many years in financial services and real estate with an emphasis on finance and customer service. Kate served as the operations manager during the start-up and growth phase of a National Institute of Health Small Business Innovation Research Grant funded company, which provided her an opportunity to work on research-driven products and educational tools for the autism population. Kate holds a Master of Business Administration from Boston University and a Bachelor of Arts degree from the University of Vermont. Kari Johnston began her career with the Autism Society of North Carolina in 1997, providing direct support services to several individuals with ASD in eastern North Carolina. She then became a Community Services Coordinator and, in 2000, opened the Greenville Services Office. During her tenure in the eastern region, Kari held numerous positions with increasing responsibility, including Eastern Regional Director. Under her leadership, the region expanded to serve more than 100 individuals with ASD throughout 12 counties, employed more than 180 staff providing direct support services, and operated two residential homes. Throughout this time, the eastern region earned a reputation for excellent clinical quality and built strong partnerships with area LMEs/MCOs. In 2014, Kari became the Director of Services and is responsible for the oversight of statewide direct support services to nearly 700 individuals with ASD served by more than 900 direct care and support staff in five regions across North Carolina. Kari attended Pennsylvania State University, where she received her bachelor’s degree in Rehabilitation Services. She resides in Clayton with her husband and four children. David Laxton has worked in the autism field for almost 30 years. He began his career at the Autism Society of North Carolina in January 1995. Prior to coming to ASNC, he worked for Division TEACCH at the University of North Carolina for nearly five years, working with adults on the autism spectrum in vocational and residential settings. David is the past chair of the Chapter Services Committee of the Autism Society of America, Past Board President of Triangle United Soccer Association, Board member of Jordan High School ABC, and volunteer coach with South Durham Little League. He is a member of the Public Relations Society of America and the American Marketing Association. David graduated from the University of North Carolina at Chapel Hill with a bachelor’s degree in Psychology. He lives in Durham with his wife and two children. Jennifer Mahan has worked for the Autism Society of North Carolina since October of 2010. Her role includes legislative, grassroots, and one-on-one advocacy. Prior to coming to ASNC, Jennifer worked for the Mental Health Association in North Carolina for ten years, most recently as Director of Policy and Advocacy Initiatives. She is the past Chair of two large statewide advocacy coalitions: The Coalition, with 40 members advocating for the needs of individuals with developmental disabilities, addictive disease, and mental health disorders; and The Covenant with North Carolina’s Children, with more than 65 members advocating for a broad range of issues affecting children and families. Jennifer has a background in consumer advocacy, information and referral programs, and human services policy focused on developmental disabilities, mental health, addictive disease, and low-income benefits programs. Dr. Myers has been the Clinical Director since January 2013. He earned his master’s and Ph.D. degrees from Utah State University in 1978 and 1981, respectively. He worked at Murdoch Developmental Center as Psychologist, Director of Psychology, Director of Professional Services, Director of Programming and then, for the last eight years of his career there, as Facility Director. While there, he oversaw the development of the specialized programs PATH, BART, STARS, and TRACK, which have effectively served many individuals with development disabilities (including autism) and severe behavioral challenges. After retiring from state employment, Dr. Myers was most pleased to join with ASNC, the organization that had been such a strong ally. As the only recipient of both the TEACCH Award and the Fred Keller Aware for Excellence in Behavior Analysis, Dr. Myers is well-suited to lead our Clinical Program. Eb Roberts joined the Autism Society of North Carolina in January 2018. Prior to joining ASNC, she spent 20 years in the for-profit sector, working primarily in behavioral health hospital administration, counseling, and engaged in the practice of law. Her roots in autism began in college, working in group homes in the Charleston area and continued after graduate school, counseling teens and young adults with ASD. Eb holds a Juris Doctorate from Georgia State University College of Law, a Master’s in Counseling from the University of North Carolina at Charlotte, and a Bachelor’s in Psychology from The College of Charleston. She resides in Cary with her husband and two sons. Kim Tizzard has worked for the Autism Society of North Carolina for almost 15 years. In that time, she has worked with well over 1,000 families regarding a variety of concerns including school issues, crisis situations, and developing positive strategies to overcome challenges in a variety of settings. In addition to her personal experience as the mother of a son with autism, Ms. Tizzard currently serves as the Director of Family Support. In her current role, she supports Autism Resource Specialists and Chapters across the State. She advocates for a blended approach in teaching individuals with autism and understands the importance of structure for learning, attending, and independent skills. Ms. Tizzard has also worked as a classroom teacher in a self-contained classroom as well as in regular classrooms where children with disabilities were mainstreamed successfully. Kim has a Bachelor of Science in Public Relations.